A native of North America, this species was introduced to Britain in the 17th Century. 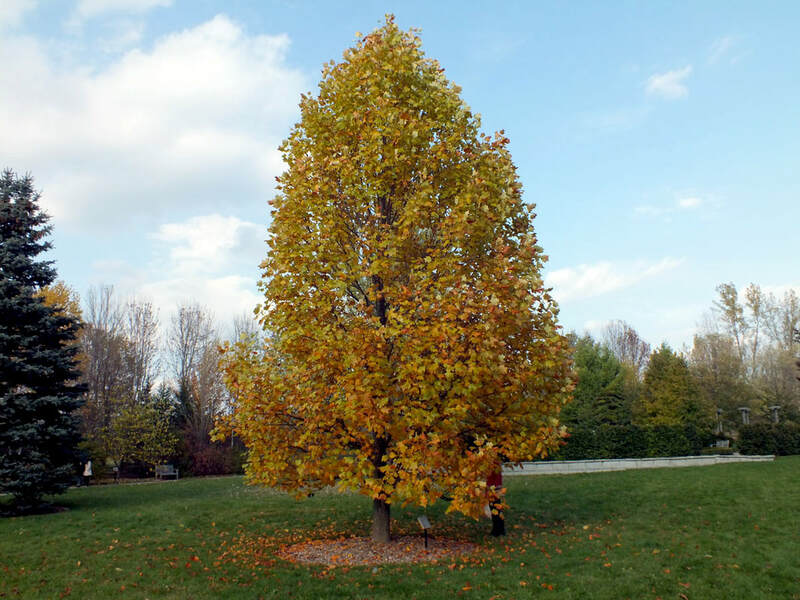 Just like much that originates on the other size of the pond the Tulip Tree is big and dazzling. The leaves are like no other and can reach to 15cm across. Flowers follow in early summer with hints and tinges of white, yellow and orange, before finally fruits which resemble pine cones adorn the tree come autumn. In the same family as Magnolia (Magnoliaceae), and therefore does prefere a marginally acidic and reasonably fertile ground in a sunny or slightly shaded spot. Full hardy. Mature specimens will reach well in excess of 20 meters so this is one for the larger garden. All in all a fine stately tree that won't disappoint.